Prevention is the key to maintaining a beautiful, healthy smile for life. Cavities are incredibly common in children and are often caused by a poor diet that is filled with sugary snacks and drinks as well as poor dental hygiene habits. Because of this, cavity prevention is crucial in preventing the need for fillings and more extensive procedures. What is involved with Pediatric Cavity Prevention? Why is Cavity Prevention important? Cavity prevention is important because once decay is found, it needs to be removed and a filling placed. 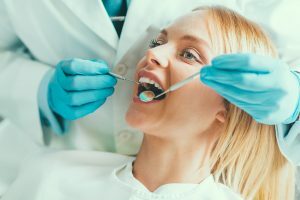 While fillings are incredibly durable and can last for decades before posing any problem, they also compromise the overall integrity of the tooth. Because of this, it is best to avoid the need for fillings altogether and the only way to do this is through cavity prevention methods. As soon as your child begins developing teeth, they should follow all cavity prevention protocol.